Save 10% on BMW World Stickers BMWworldstickers.com as featured in previous blog. 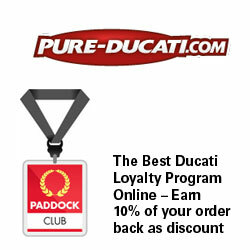 Just place an order directly via email or order on eBay using PayPal and quote: 'EMD'. 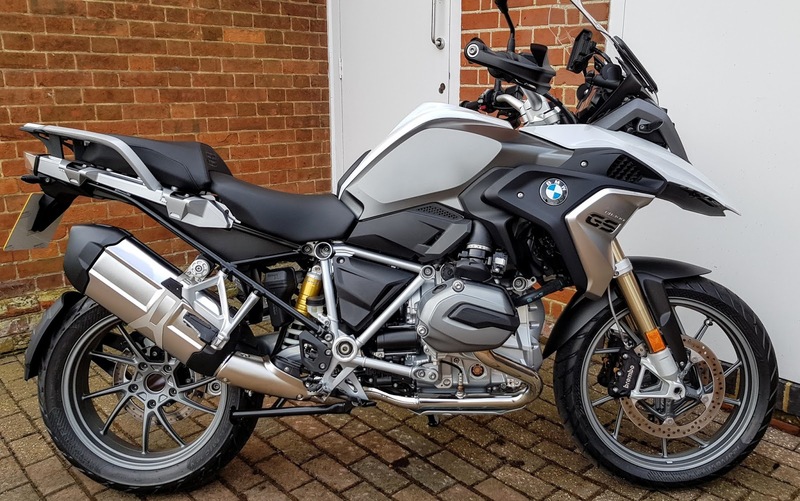 If you have a BMW GS you now have two choices: You can take it around the world – or you can well, put the world around it. I guess there is a third option: Take the world with you when you go around the world on your GS. BMWworldstickers.com is the brainchild of utterly charming and serious globetrotter Antonio ‘Tony’ Campos. Lottie & I met Tony – a Spanish ex-pat settled in Blighty - at Bahnstormers' of Farringdon (Hampshire) season opener. 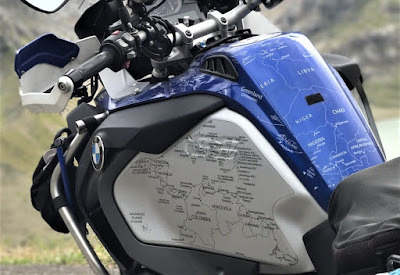 The irrepressible Tony has created a unique set of world maps that can be applied to all BMW GS models since ’04. Tony has personally templated and developed these world maps to fit all modern GS BMWs. His website includes all options and some handy videos to make sure your decals get applied properly and ensure that Ghana doesn't end up due north of Greenland. So I guess I have to admit that the world’s favourite adventure bike has to date largely passed me by. My choice. 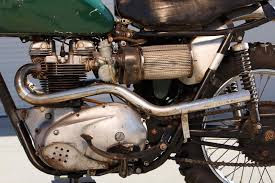 I tried one back at around the time that Ewan McGregor & Charlie Borman rode them from London to New York (the wrong way – across Russia) I didn’t like the book much and I didn’t’ like the bike either. My ride at the time was a mad-as-a-box-of frogs bug-eyed neon green Triumph Speed Triple. I track-day’d the Strumpet in Spain, toured Europe and wheelied it to work. It had an attitude and I just loved it. The GS by comparison seemed to have no tangible connection to the road, felt slow, and had a terrible clunky gear change. I just didn’t get it (maybe if I had tried to ride around the world?). So now I have one to test – for a few months. So how will I get on with the bike I couldn’t get 14 years ago? At last! A BMW whose footpegs don’t stab you in the calves. Despite feeling initially a bit low, the seating position seems perfect. Helped as the pegs are slightly further back than the GS800 (hence don’t get in the way when you put a foot down.) but also because the engine is narrower than a four they are closer together meaning that they can be lower. First impression were mixed. It probably didn’t help that I had recently ridden a BMW XR and had an absolute blast. The XR is so ‘up for it’, so begging for an accomplice in crime, but equally incredibly sure-footed and precise. So the GS felt soft and ponderous by comparison. On the positive side, just about all of the effects of shaft drive have been miraculously erased by 14 years of development. The gearchange is about as perfect as the best chain drive can provide. Getting off the 800GS (on comfort setting but still far firmer than the 1200) I handed over when I picked up the bigger bike onto the 1200 I am amazed by how the 1200 seems to sink by a couple of inches (no – it isn’t me – I weigh about 80kg or 176lb). Hitting the first main road, the bike floats with a see-saw motion that actually makes me think (maybe only think to be fair) that I am just getting the first sensations of motion sickness for the first time on a bike. Switching the suspension setting from ‘Road’ to ‘Dynamic’ fixes this in short and surprisingly dramatic order. They seem weirdly extreme. Can’t there be a setting in the middle – say ‘normal’? I much preferred the bike on a second ride. It was raining hard when I left the office. Given the dark, cold commute in the rain, I would not have preferred to be on any other bike. Back on the previously disliked ‘Road’ setting it felt as sure-footed as any bike I have ridden in the conditions. 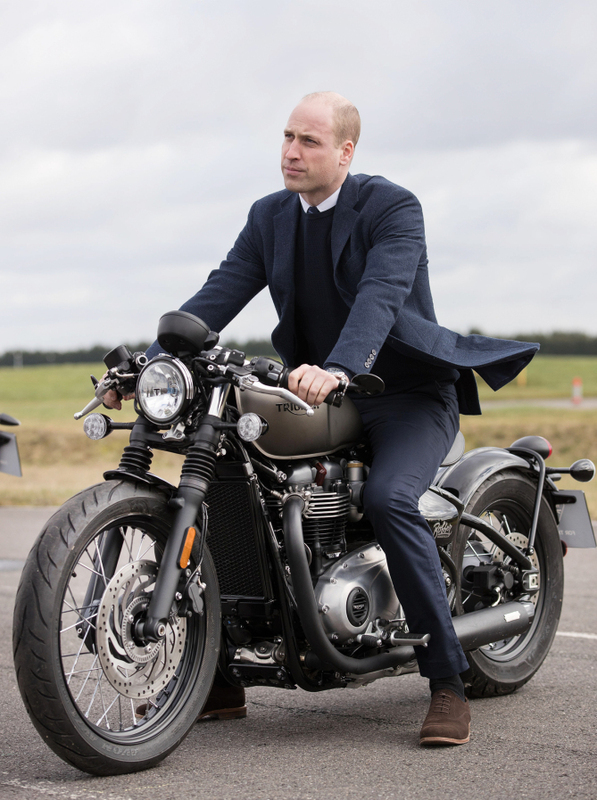 Otherwise the bike is lovely. 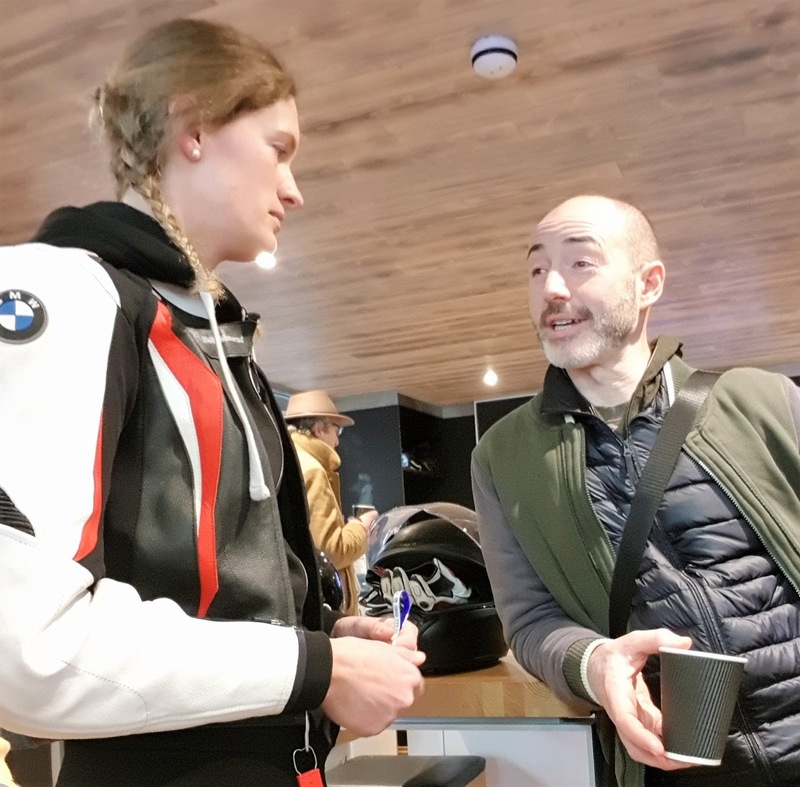 I get the same feeling I always do when I climb on a telelever BMW: “The suspension feels very automotive – like a car”, which is I guess what you would expect. After all, your car doesn’t really dive when you hit the brakes does it? So I like and dislike the front-end suspension in equal measures. It feels both wonderfully insulated from road undulations – and it feels dreadfully isolated from what the road is telling you. After the more off-road biased 800 the 19” front wheel seems a good compromise. The 800’s 21-inch wheel is handy off-road, but given the 800 is no Enduro ride, I’m not sure this concession to the dirt is worth it given the price you pay on the road. My commute includes 10 miles on a busy, fast dual carriageway. 80+ mph manoeuvring, and lane splitting takes a bit more concentration than it should thanks tothe 21-inch wheel. The 1200 on the other hand feels much more planted and like a touring rather than dual purpose bike. Although I have to say it lacks the athletic agility of my Multistrada. Talking of which, I’m getting 46 mpg on my commute whatever I do. This compares with 44mpg for the Ducati. The gas mileage is slightly disappointing. 5% better fuel consumption for 25% less power seems a bit of a poor trade-off. On the other hand, the GS is also about 20% heavier. Verdict so far? It’s competent, capable, grunty, wieldy. But would I buy one? TBD. Next report: Riding the GS two-up, and unleashing it’s full potential now it’s run-in. Getting to grips with ESA, suspension settings and engine modes. And being mistaken for a policeman. So first that puncture. I must say – getting one isn’t what it used to be. The first punctures I got on motorcycles went like this: You knew very quickly that you had a puncture. How? Well you were lucky not to fall off. Back in the day motorcycle tyres had inner tubes. 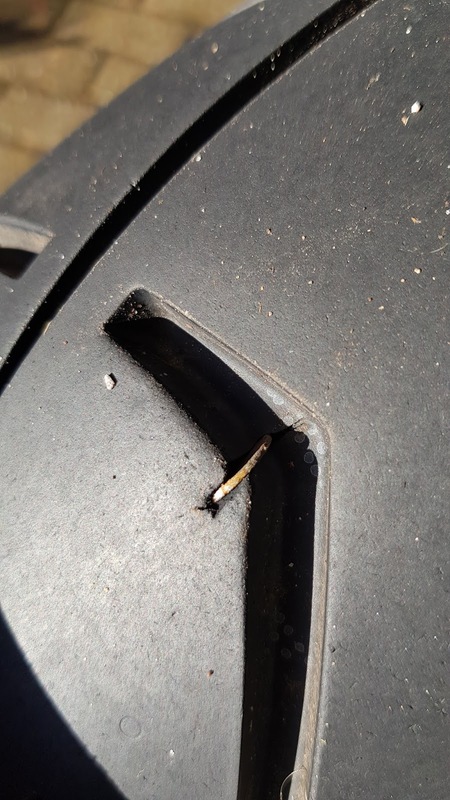 When that tube went you normally had a matter of seconds – 30 if you were lucky – to stop riding before that tyre tried to roll off the rim. Then you pulled over, and stuck your thumb out in the hope of scrounging a lift from a passing motorist. You didn’t call a friend on your mobile because you didn’t have one (mobile that is - hopefully you have a friend otherwise the next bit wouldn't go very well either). Later that day, you went to look for the bike with a mate with a van, hoping that it was still there. You then took it back to your or his place and got your tyre levers out. Lost: 1 day of your life. The first I knew the GS had a puncture was the red flashing triangle on the dash. “Oh no, another sensor malfunction”. About three miles from the office I thought: “Well I’ll take a look when I get there. However, another glance down revealed ‘RDC’ and ‘BAR’ with two numbers. The left read 2.6, the right hand one read: 2.9, 2.8, 2.7. . . But the bike felt fine. So I pulled over and kicked the rear tyre – like you do. Looks good. So back on the bike. 2.5, 2.4, 2.3. Just 2 miles to the office – better make a run for it. A bit like the mother-in-law who used to put her foot down if she was low on gas in order to get to a petrol station quickly and before she ran out. The next was a bit different to the experience of my youth. A quick call to the BMW emergency line and an hour later the GS was loaded into a truck and strapped tightly down to be taken across town to my nearby friendly BMW dealership. Dropped there to be re-united with the bike at 5:30 and there she is - new tyre, cleaned (never an easy job in winter considering the off-road parts of my commute) and good to go (call out for Vines of Guildford - thanks guys). I am gimmick and gadget-averse with bikes. I was so horrified by the first appearance of ABS I swore I would never buy one with it. Now I really wouldn't want one without it. The RDS (Reifendruckkontrolle. 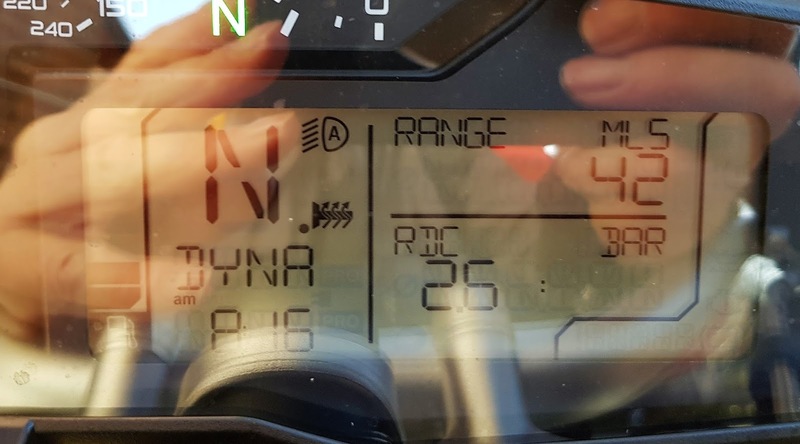 Yes - 'tyre pressure management' really is one word in German) system really works, and will flash a warning light when it detects a fast change in tyre pressure and switch the display to tyre pressures. On balance I would rather find out that way than say when you pitch it hard into a bend two-up and fully loaded. Many things aren't what they used to be, and some are clearly better. What has a 21" front wheel, 12"-plus front rake, tall upside-down forks, dual long-travel Ohlins rear shocks, and 320mm front discs with Brembo M50 calipers? Stumped? There's also a 1200cc twin engine, and (hopefully) 96hp with 83lbs*ft of torque. Plus real body armor to compliment the genuine off-road pedigree and capabilities. And how about that aluminum swingarm? A-HA! 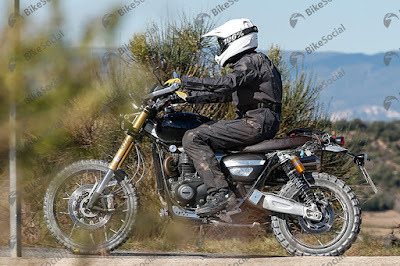 You are thinking: A Ducati Scrambler Desert Sled! And the shot is coming from Hinckley, England. No word yet on when we'll get to see this new Sled up-close, or even get the actual details (we are really hoping Triumph goes with the high-end tune on the engine) but the smart money says it will be this years INTERMOT or, not far from the home of a certain Duc, EICMA. And what's the first thing that happened? 150 miles in. Help is on its way thanks to BMW 'Emergency Service'. 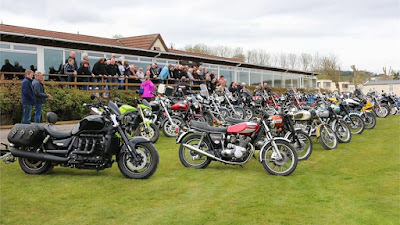 Golf & Harley Davidsons. I always felt that there was no point in rushing towards them. They were just an inevitable part of ageing, and therefore to be avoided while you could. Just like death, they will come to you in the end. Well neither a Harley (I have ridden a few though) or Golf have come my way yet. Contemplating my 59th birthday though, I am puzzled about the bikes I like best. 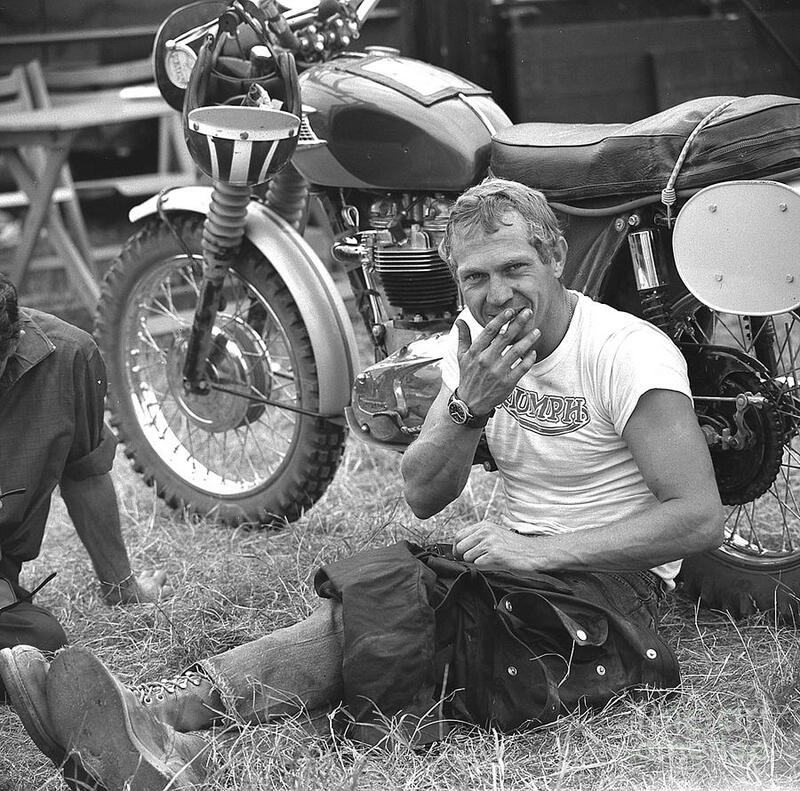 Harleys are as unappealing to me as they have been since I first opened the throttle on a two-wheeler. Instead, I still like the kind of bikes I always have. Bikes with an attitude. Ones that seem up for it the moment you swing a leg over them. 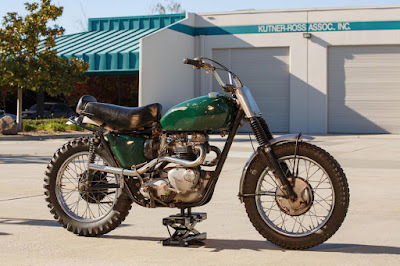 Bikes that pull second gear wheelies off the throttle. Even my recent bike history involves the kind of bikes that I should have resigned from a long time ago. A Triumph Speed Triple, KTM 990 Supermoto, KTM EXC 300 (Enduro) 2-stroke, Ducati Multistrada 1200, and Panigale 1199. 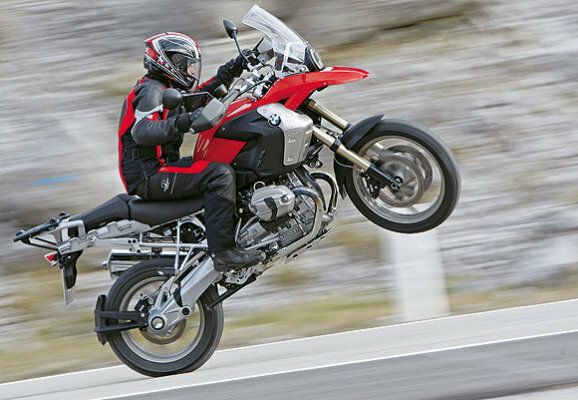 They are all bad boys in their own way – even the Multistrada – which is still just about the best wheelie bike I have ever ridden. And those bikes are the ones that still do it for me. As such, the BMW GS, has never been on my bike bucket list. 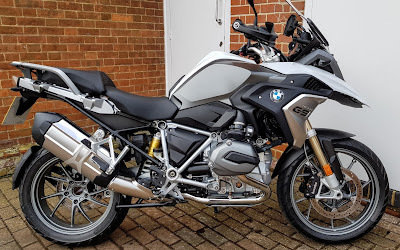 But now, courtesy of my daughter and her employer’s generous friends and family riders scheme, I am the proud user of a white R1200 GS TE for the next 5 months. So as an absolute GS-sceptic I am probably the best person to test one. And given that I will probably cover a few thousand miles in that time, I will do my best to relate the experience on the EMD. Next post - first impressions. 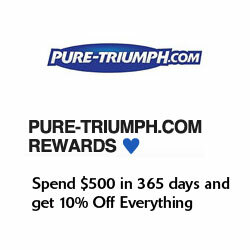 Triumph opened its doors and started rolling out the motorcycles way back in 1902. That's a lot of history, a lot of changes, and a lot of racing! 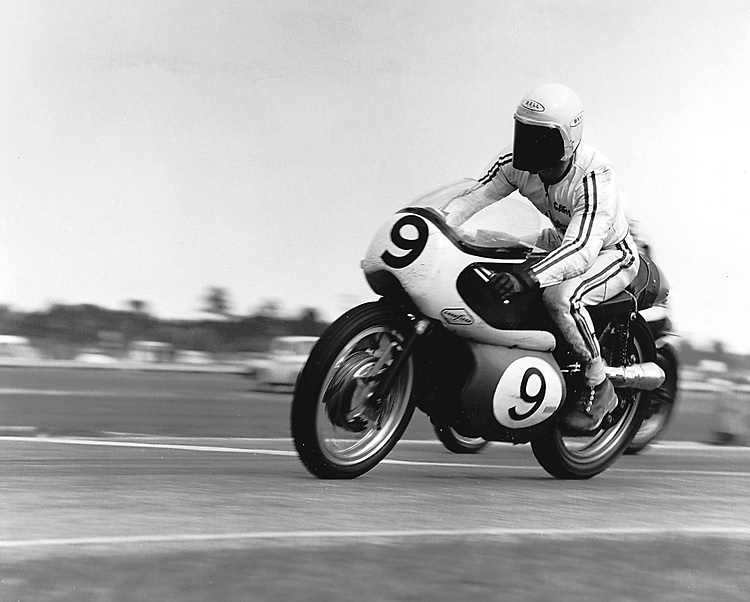 But how does a company celebrate more than a century of this iconic motorcycle brand? With an all-new Factory Visitor Experience, of course! 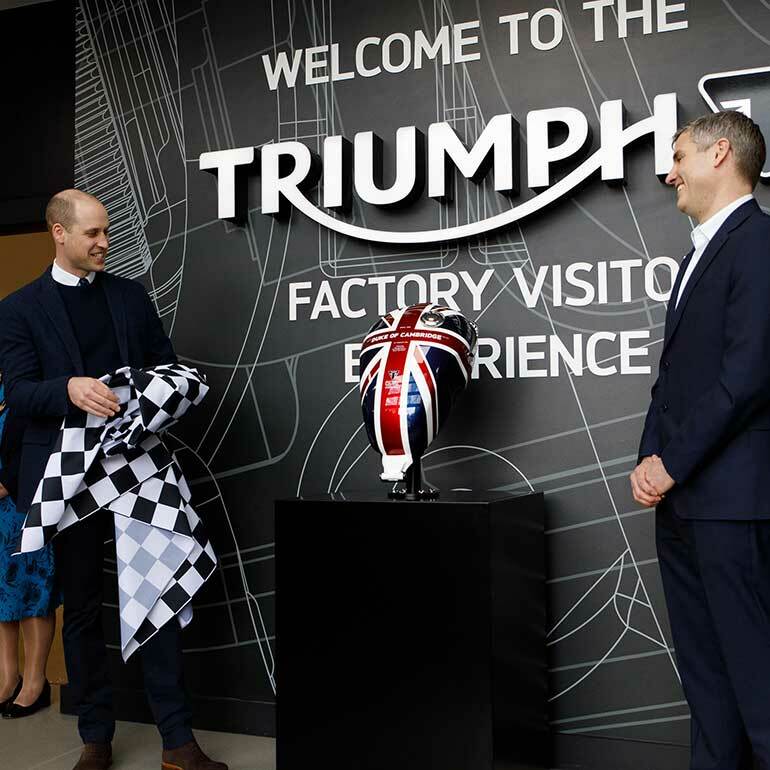 And that is just what Triumph has done, with the Factory Visitor Experience officially opening this 20 February, 2018. The Factory Experience traces Triumph's history, immersing visitors in decades of moto- and popular-culture, so strongly influenced and inspired by the Triumph motorcycles. It takes people through the evolution of Triumph engineering and performance. 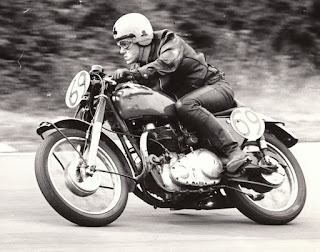 Thrills them with Triumph's racing exploits. 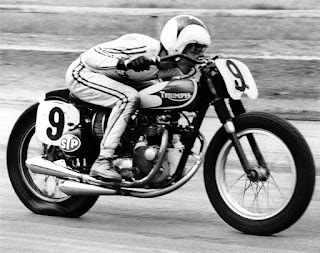 Takes a walk down Triumph's Avenue of Legends. And encourages them to dream along with the plans for the future, including the new Triumph Moto2 engines and dizzying land speed records. And no tour would be complete without a full array of Triumph's most iconic motorcycles and styles. So. Many. Triumph! 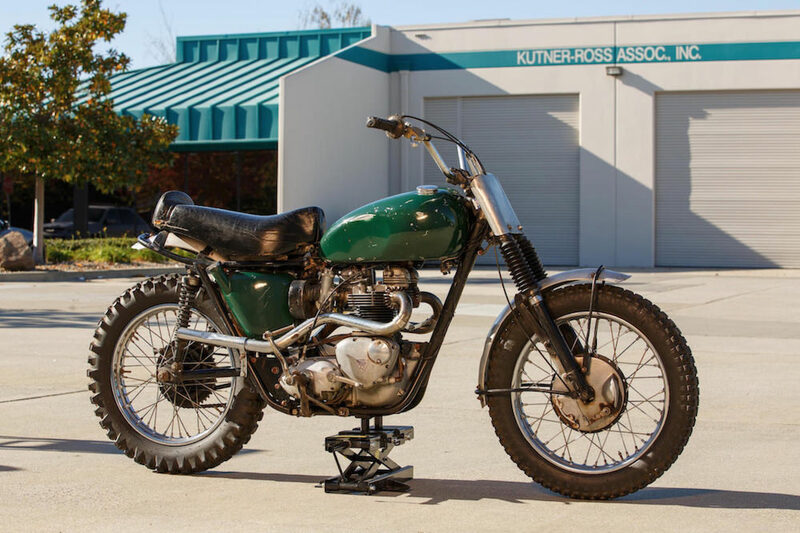 Click HERE to go to Triumphs new Factory Visitor Experience site to learn more about this iconic brand and how to visit. We'll be making our travel plans! 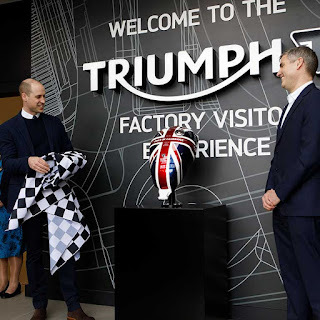 Prince William had a tour and checked out some of Triumph's newest models while official opening Triumph's new Factory Visitor Experience at the company's Hinckley headquarters. I bet you do. How about Moto2 Kalex-Cool? Oh, yeah. That's the catch. We still have one more season with the Honda-powered Moto2 bikes. But change is a-comin' to the Moto2 universe! Lots of it. 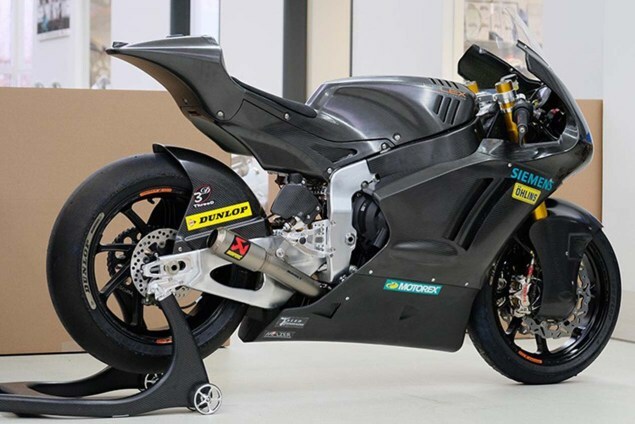 Just as fun as listening, and watching, the three-cylinder engine power the new Moto2 bikes, will be seeing how the Moto2 chassis-manufacturers adapt to the new engine. Just 'cause Moto2 machines share an engine design and manufacturer, the chassis are designed and built by an array of companies, including the series-dominating German company, Kalex. 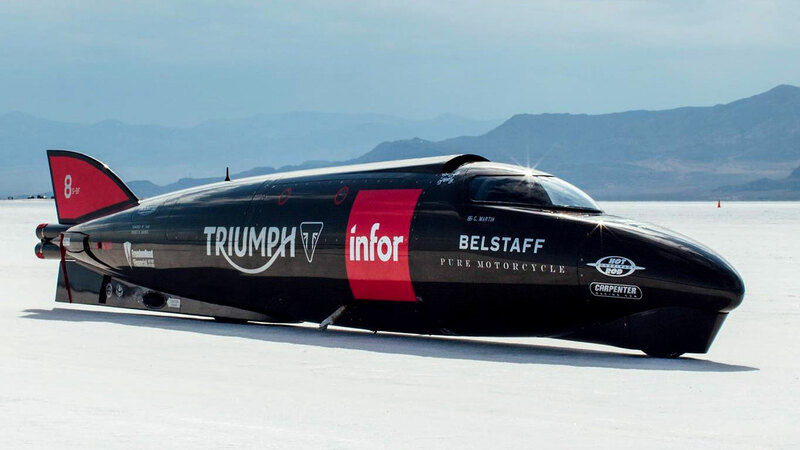 (No big surprise Kalex is first to the line with the Triumph-ready chassis.) While we're not expecting wholesale revisions, there will be differences as chassis-builders move exhaust pipes and adapt to difference balancing needs and slight changes in configurations. Can the 2018 racing season start yet?